The moment I decided to attend Saint Rose, I would not have predicted where I would be 3.5 years later. I’m graduating from Saint Rose a semester early with a job already lined up as a paralegal. My journey at Saint Rose would not have been possible without the students, faculty, staff, and administration; they are the reason for my success and I am forever grateful. I came to Saint Rose as an uninvolved high schooler. However, at orientation I signed up for the Student Association. They seemed to be the group most involved with all aspects of Saint Rose; I am so glad I signed up. Through SA, I met some of my closest friends and learned what it takes to be a leader. First as a general member, then as the Executive Assistant, and finally becoming the Director of Academic Activities in my Junior year. I learned what it takes to hold events, manage office life, how to handle conflict, and that sometimes you can’t please everyone despite your best efforts. I attended a private catholic high school that was built on the Corporal Works of Mercy and I chose Saint Rose because it shared similar values. Getting the chance to be involved in different community service projects as well as an alternative spring break trip to New Orleans has only furthered my love and desire to help people. I participated in high school mock trial my junior and senior year; and I chose Saint Rose because they were starting a team. My sophomore year I joined the team and my experience on mock trial has shaped me into who I am today. The Lauren who walked on campus in 2012 is not the same Lauren that is graduating this December – so much so that Professor Al Chapleau has coined the phrase: “that’s the old Lauren.” Thanks to Professor Chapleau, the current Lauren is confident and eager for a challenge. 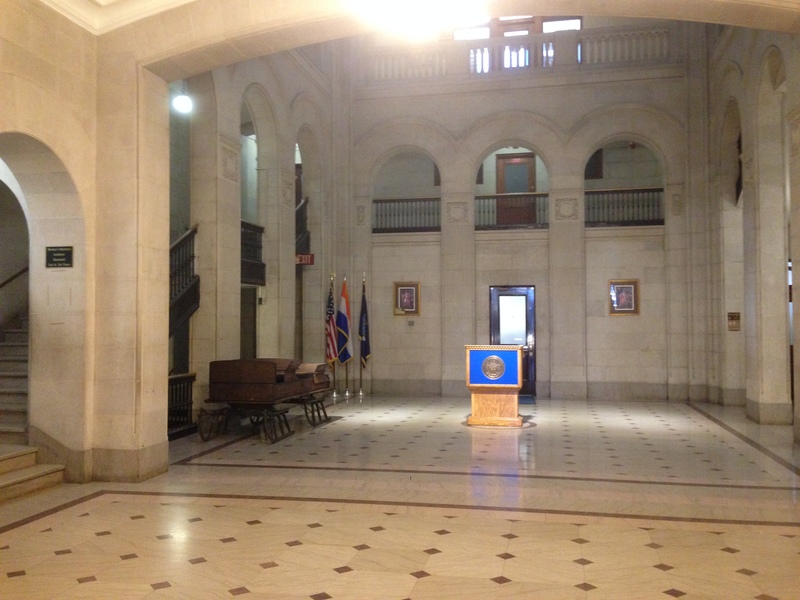 I applied for an intern position in the Albany Mayor’s Office* in early August 2015. After submitting my resume, cover letter, writing sample, and other documentation, I received a call from Sha Ranellone, the Senior Policy Advisor for Mayor Kathy Sheehan, as well as the intern supervisor. She explained to me the daily routine as an intern, and while the main tasks of filing and answering phones may sound mundane, they provided an opportunity to learn more about the City of Albany and how local government functions. I started the first week of the fall semester and I have worked there every day since! After proving that I was capable of doing the basic intern tasks and my dedication to learning, I was provided several research projects. These projects have aided Sha and the Mayor for meetings and a specific research project turned into a presentation that the Mayor gave for National History Month. The skills I learned at Saint Rose through clubs, activities, and my classes, have provided me great success at my internship. Although the internship is not paid, if you do well and show strength you’ll be provided with amazing memories, connections, and networking possibilities. 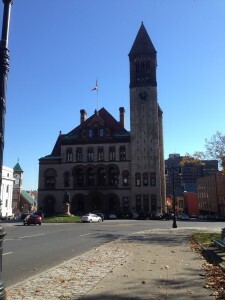 Outside City Hall located at 24 Eagle Street. 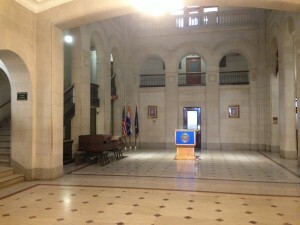 The Rotunda, located inside City Hall, where the Mayor will often give speeches. After learning I was graduating in December, Sha asked me what I planned to do after I was done. 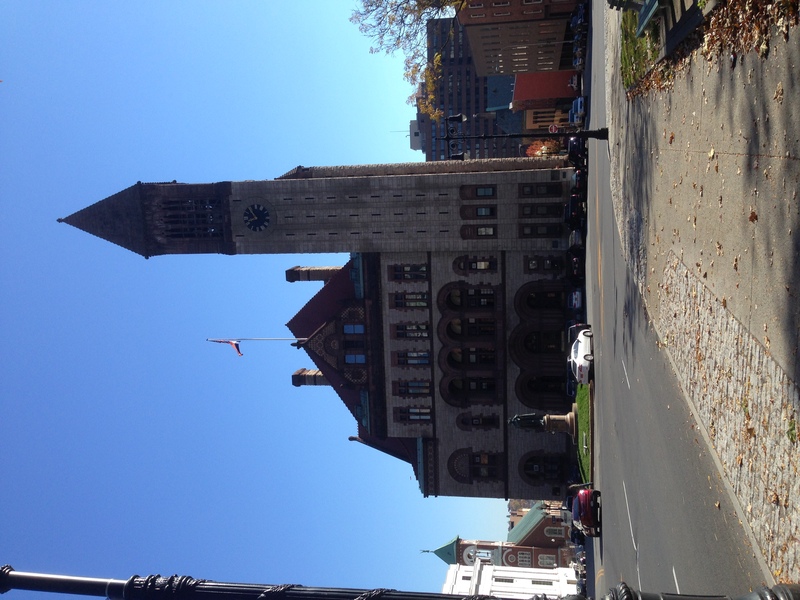 The plan is to attend law school down the road; however, I was looking for a job in Albany for the time being. I’m so grateful for that moment with Sha because she listened to me and knew the perfect job for me, the open paralegal position within Corporation Counsel for the City. A month later I accepted the position knowing that Saint Rose has prepared me for this new journey. Now I am one of the lucky ones. I’m lucky to have the connections I have on campus. I’m lucky to have faculty members that have provided me with the extensive knowledge for success. I’m lucky to have a Mock Trial coach who spent countless hours believing in my abilities when I never did. I’m lucky to have friends who support me 24/7. I’m lucky to have an internship where I wasn’t just a body to lighten the work load. And I’m lucky to know I have a job before graduation. This is the Saint Rose difference and I am thankful everyday for that difference. 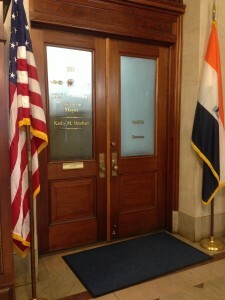 Door leading to Mayor Kathy Sheehan’s Office where I intern everyday! 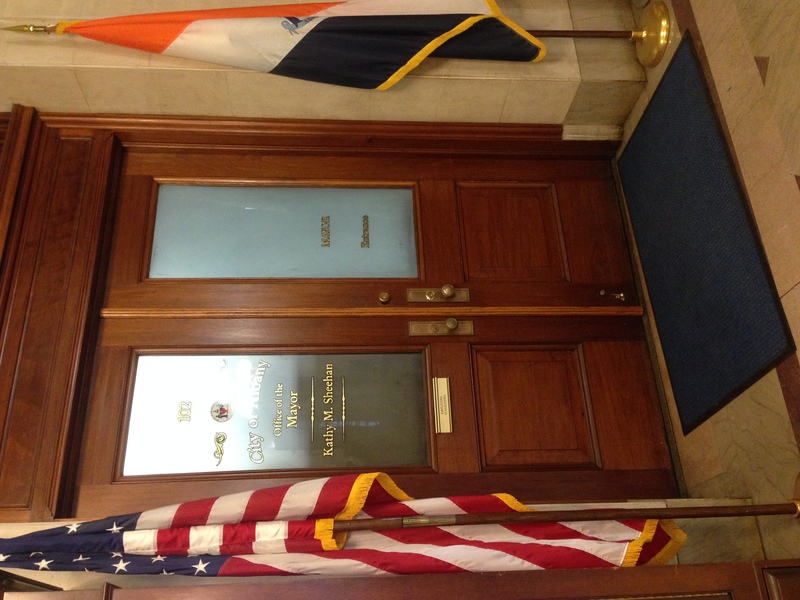 * If you are interested in a possible internship at the Mayor’s office, follow the link below!